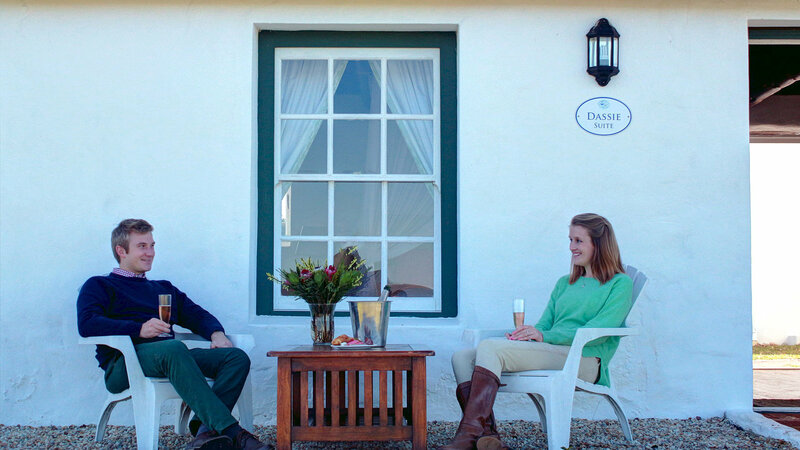 The New Dassie Suite has a fabulous view of the vlei. 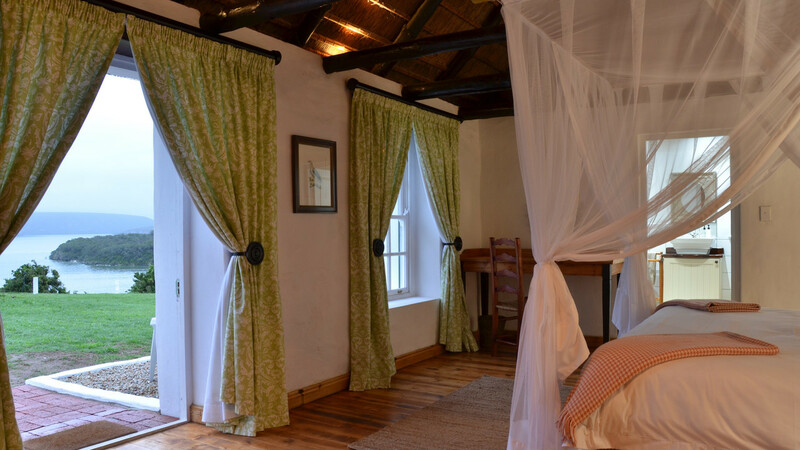 This Suite is perfectly positioned to view the birdlife and majestic sunsets from your veranda. 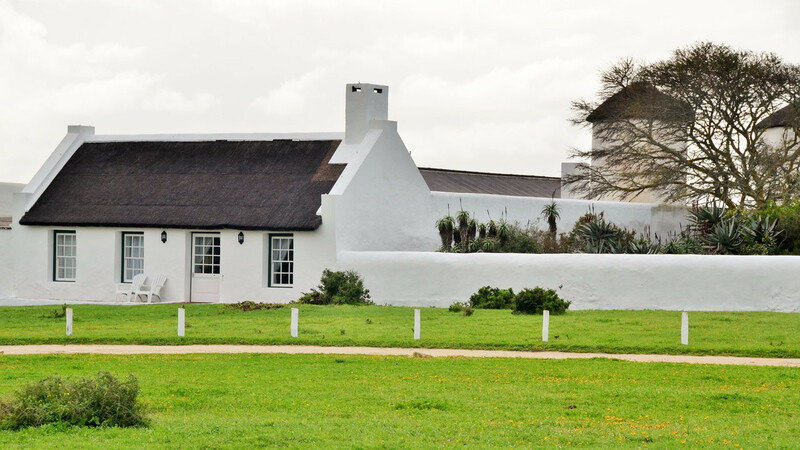 Wake up to the sound of the birds from the Vlei and the chance of Otter sightings from your room. 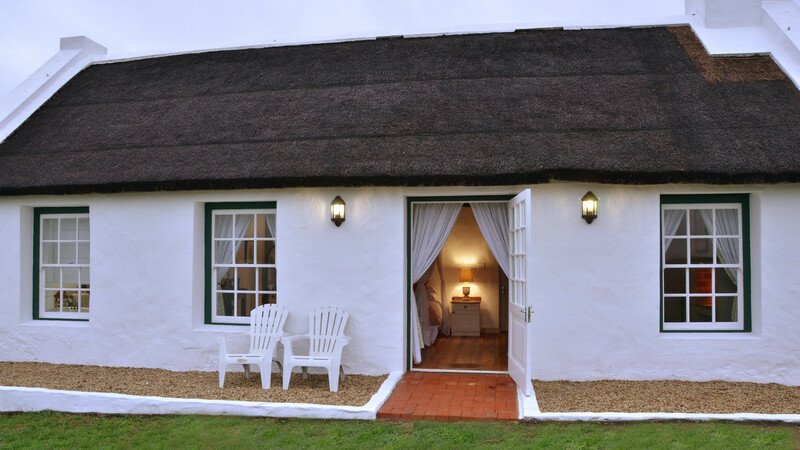 The Dassie suite consist of luxury accommodation which sleeps 2 people with en suite bathroom. 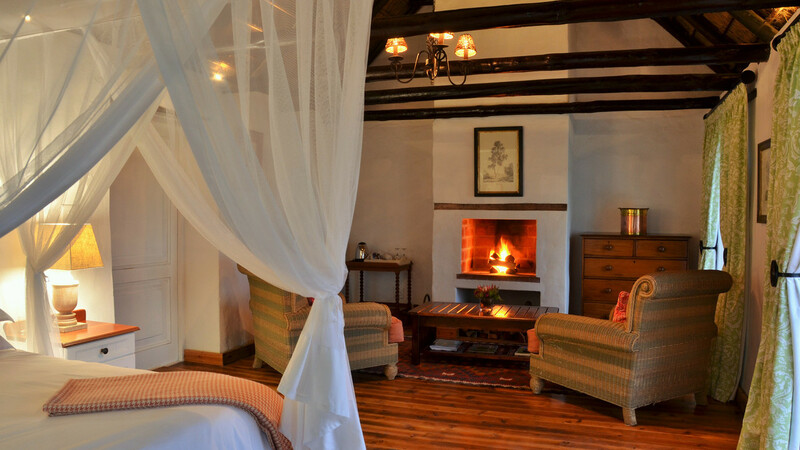 The Dassie Suite includes a sitting area and cosy fireplace for winter. Meals are included on a dinner, bed and breakfast basis. 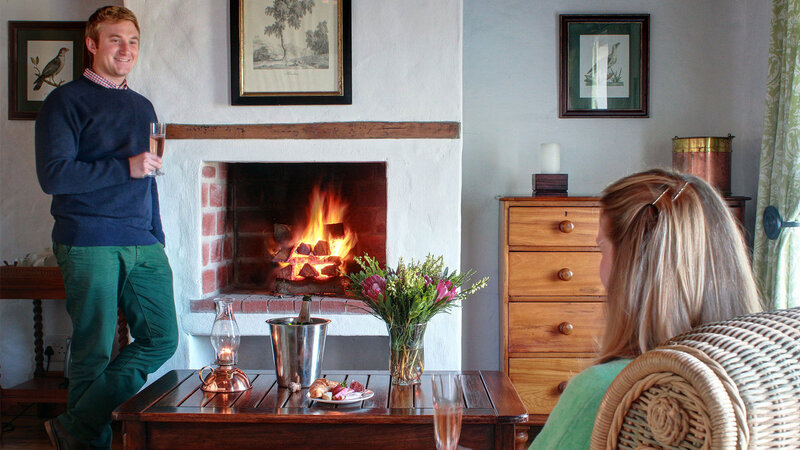 Set amongst a dazzling array of wildlife and fynbos, this suite is perfect for discerning guests. The Opstal area is a central base from which to explore the reserve. The Fig Tree Restaurant can be found here and is open all day, everyday and serves delicious meals prepared using locally sourced produce. There is a tennis court, swimming pool and a boules courtyard. 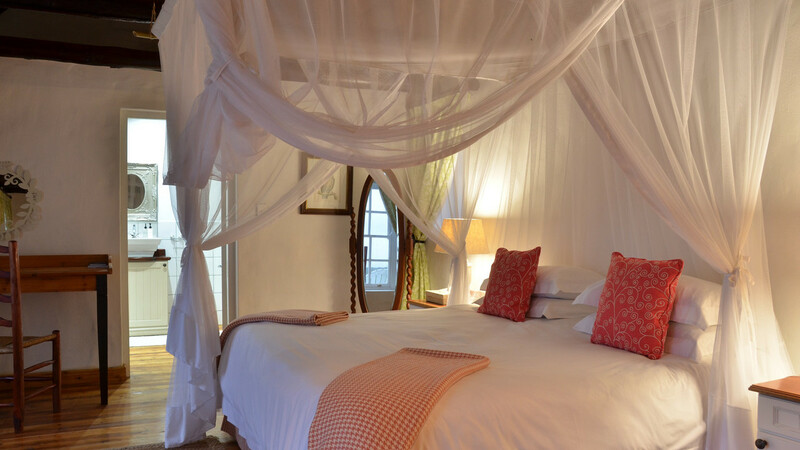 Bedroom: 1 king size bed with mosquito net. Linen and hangers provided. 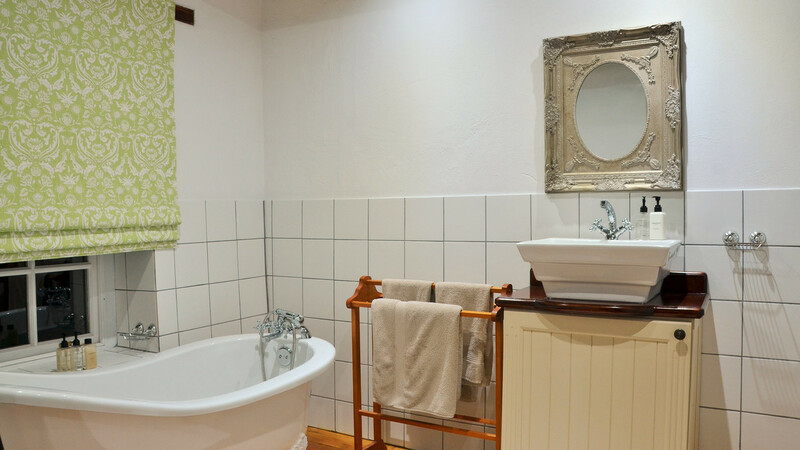 En-suite bathroom: Shower; bath; basin; toilet; bath mat. Bathroom towels; soap; hand wash; shampoo & conditioner; body wash & body lotion provided. Seating area outside overlooking the vlei. Complimentary firewood provided for fireplace.